We are proud of the accomplishments of all of our alumni, who have gone on to fantastic careers around the globe. Continue to check back with us here, as we will highlight the success of a different alum each month. Marian “Ayvaunn Penn” Fields most recently served as assistant director to two-time Tony Award winner Ruben Santiago-Hudson at the Billie Holiday Theatre and Golden Globe winner Regina Taylor at the Tony Award winning Goodman Theatre. She is currently earning her Master of Fine Arts in Playwriting at Columbia University where she has the honor of being the School of the Arts Dean’s Fellowship recipient for the playwriting class of 2018. Her thesis production, The Feather Doesn’t Fall Far from the Wing, will be featured at Signature Theatre in May 2018. "My time at Tech was one of the most challenging and rewarding times of my life. The theatre program has prepared me well for the real world and the faculty went above and beyond in supporting their students (me). I will always be grateful and continue working hard to inspire and motive those who come after me for many generations to come." Ann was recently named the Studio Supervisor for Carnival Cruise Line's Land Studio Facility. Ann grew up in Taipei, Taiwan and moved to Arkansas in her teens. She graduated with a Master of Arts in Fine Arts in Theater from Louisiana Tech University and has been working professionally as a production stage manager with various productions ever since. Ann served as the production stage manager for Cedar Point: Lumionsity-Ignite the Night for the past 4 seasons, swing stage managing for the six resident shows in Hershey Park, and stage managing the winter production Gloria! for Busch Garden at Williamsburg, VA. In between theme parks she took on various productions projects such as the assistant stage manager for the Cincinnati Ballet Company for their World Premiere of King Arthur’s Camelot and production stage manager for Hasty Pudding Theatricals 168. Her most unique experience is when she was a role player for training of the Tactical Units in Palm Springs, CA. The highlight of Ann’s career was when she received the Excellence in Stage Management from the Kennedy Center. Ansley Bice Keenan received her MA in theatre from Louisiana Tech in 2010. Upon graduation, she served several seasons as the Education Director for the California Theatre Center, then moved back east to work freelance as a professional director, stage manager, costumer, and educator throughout upstate South Carolina. She now teaches and directs at an arts magnet school in Greenwood, SC. 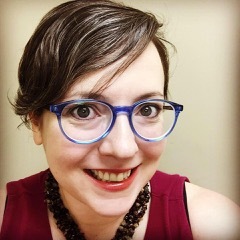 Ansley is the current secretary for the board on the South Carolina Speech and Theatre Association and is an adjunct faculty member at Lander University. This upcoming season, Ansley will serve as the Production Coordinator for the state’s debut special needs musical theatre program: “The Penguin Project,” in collaboration with the project’s founder, Dr. Andy Morgan. Ansley is married to fellow Tech alum, John, and they have a two-year-old aspiring drama queen, Lily. David Kaul has been in, around, over, and behind theatre consistently since 1982. He received his BA from the University of Alabama and holds a MA from LA Tech University (class of 2008). For 15 years, he was the full-time Technical Director for the Strauss Theatre Center in Monroe, LA and its General Manager for 2. Through his career, he has had the opportunity to be the production designer for The Miss Louisiana Pageant, the Coca-Cola centennial celebration in Vicksburg, MS and has designed news sets for several local television stations. David has designed prolifically for all the arts organizations of NELA, and his designs have been used commercially throughout the southeast US. Mr. Kaul is also a LA state-licensed contractor in the specialty of stage lighting, rigging, and drapery installations and some of the work includes The Isle of Capri in Bossier, LA, the Thomas Jason Lingo Center Oak Grove, LA, and the Princess Theatre in Winnsboro, LA. He is a past President of stagehands union I.A.T.S.E., local 668. He is now on the faculty at Grambling State University as the Technical Director. He resides in West Monroe with his wife of 23 years and has two children, Zach and Mallory. 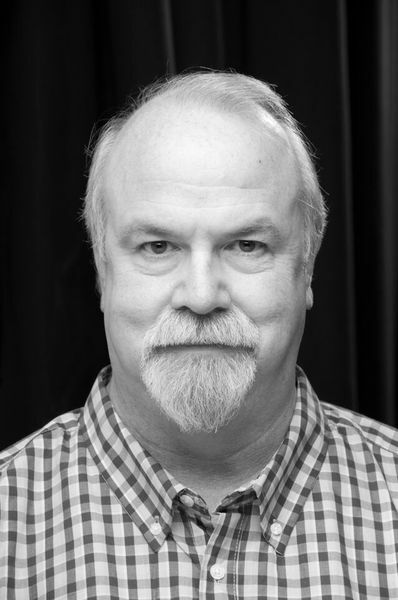 Ray Scott Crawford, from Coushatta, LA, is Dean of Communication and Performing Arts at Bossier Parish Community College. He’s taught theatre and speech there for 18 years. He earned a Ph.D. in Theatre from Texas Tech University, his dissertation titled Music in the Acting Studio: An Approach to Actor Training. Prior degrees include MAs in Theatre and English from Louisiana Tech University. He is a theatre and music director, designer, and teacher. After graduating, Crawford spent the next 11 years in Chicago, performing, designing, and directing. Also, he sang with the jazz vocal quartet, Heresay. His final production there, The Pack is Back, the first of “Rat Pack” musical which he wrote (with David Graham) and directed, enjoyed a healthy eight-month run at Piper’s Alley, and was voted “Chicago’s Best Bet” for theatre. Crawford has been Artistic Director of Canterbury Summer Theatre in Michigan City, IN, for 35 years, producing over 175 musicals and comedies. 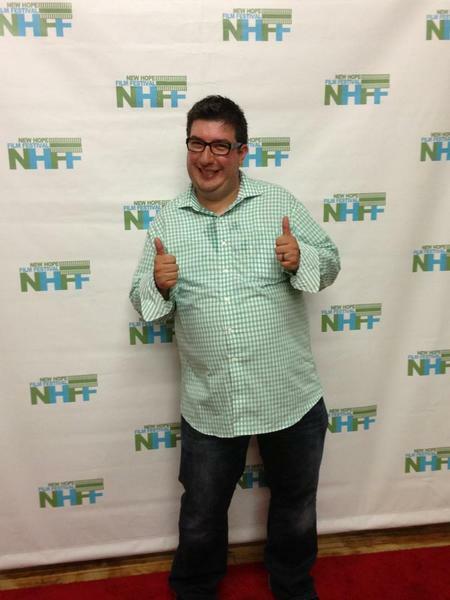 To date he’s directed 100+ musical, comedy, or dramatic productions for college, community, and professional theatre. In February his BPCC production of The Turn of the Screw ranked number one as “Best Play” for the five-state Region VI Kennedy Center American College Theatre Festival. 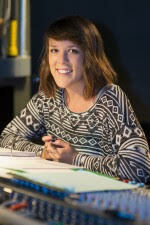 Regarding her time at Tech, Holly says, "Every single job is important to creating the essence of theatre. Whether you are behind the scenes or acting on stage, the show can only go on if every part of the machine is working to it's potential." Holly received her Bachelor's Degree in Graphic Design from LTU in 2010. She had always enjoyed working in theatrical productions and wanted to continue her career in the theatre, so she returned to Tech to get her graduate degree. 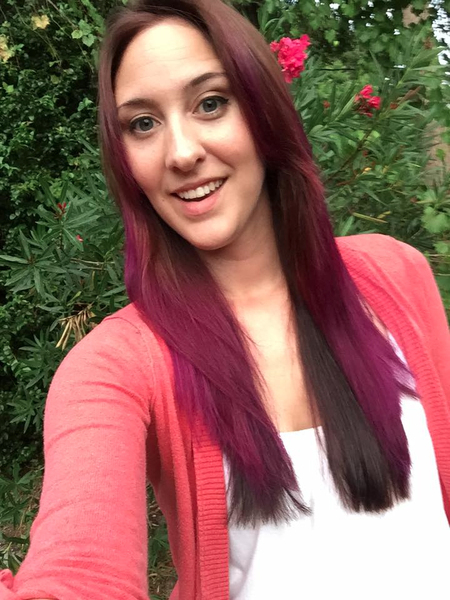 After graduating with her MA with an emphasis in Promotions and Marketing, Holly began working at Riverside Theatre, Inc. in Vero Beach, FL in 2012 as an intern, where she helped re-brand and update their marketing plan and logo. She was made a full time staff member in 2013; her job entails creating production logo art, designing marketing strategies to promote the season, taking production photos, maintaining the website, as well as many other responsibilities. She is happily married to Benjamin Porch, also a Louisiana Tech Theatre Department Alumni. They have a pug named Wilson and a Cattahoula Curr named Beaux. After graduating in 2005 with her MA, Macy took a positon as a Speech Instructor at the University of Arkansas, Fort Smith. 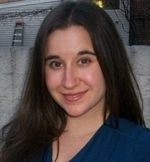 While there, she served as the resident assistant director and dramaturg for the theatre program. 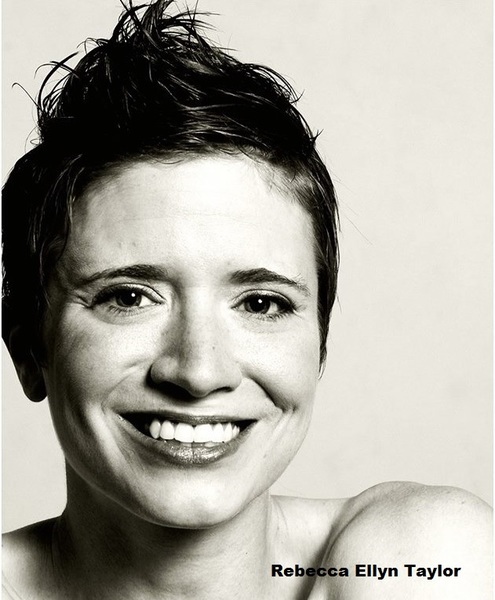 She worked on KC/ACTF awarding-winning productions such as the devised physical theatre works Corrigenda and Aurora. In 2010, she was accepted to LSU’s Theatre History/Historiography PhD program. At LSU, served as conference co-planner for “NoPassport: The Diasporic Imagination” and “Praise at the Crossroads: Cultural Intersections of Literary and Artistic Works.” She has presented several papers at regional and national theatre conferences such as: “Fighting Fascism at Home: The Federal Theatre Project and the Rise of Totalitarianism Before World War II” (ASTR), “It Didn’t Happen Here: Staging the Myth of Huey Long” (MATC), “Working the Crowd: Mesmerist Performance.” (MATC), and “Orc Lady Boys and Gamed Desire: Cross-Gendered Virtual Worlds.” (Mardi Gras Conference). Macy is the Box Office Manager for the LSU College of Music and Dramatic Arts while she finishes her dissertation “Dictating Danger: Staging the Fascist Threat in America.” Her research interests include the Federal Theatre Project, Post-Progressive Era Performance, Post 9/11 Theatre, 19th Century Spiritualist Performance, Mass Staging, Virtual Performance, and American Identity. "I am immensely grateful for the myriad skills learned and tried at LA Tech. Recently, in a single day's work, I designed lighting for a ballet, negotiated artists for an upcoming concert season, managed online ticket sales inquiries, and analyzed a script for a future directing venture. Someone commented on my ability to switch gears in that way, and it took me a good moment to realize that not everyone has had the benefit of training in a program that gives you the skills to do that kind of diverse work." After graduating with her MA Molly took an internship with the Walt Disney College Program and spent 7 glorious months spreading pixie dust and magic as a Fairy Godmother in Training at the Walt Disney World Resort in Orlando, FL. She immediately transitioned into a job at my other alma mater, the University of Alabama (Roll Tide! ), where she served as the Marketing and Patron Services Coordinator with UA Theatre & Dance. This included serving as the business manager for SummerTide, UA's professional summer production. While back in Tuscaloosa, Molly returned to the stage with two different Shakespeare/classical theatre groups--The Rude Mechanicals and Improbable Fictions--as Helena in All's Well That Ends Well, The Duchess in Doctor Faustus, and Sir Andrew Aguecheek in Twelfth Night. In November, Molly made the move back to her hometown in the hills--Gadsden, Alabama--where she am the General Manager of the regional Wallace Hall Fine Arts Center and will soon begin as a Professor of Theatre at the Center's sponsoring institution, Gadsden State Community College. "My time at Tech was invaluable. Not only did I receive a great education in theatre as a form of art, I also got a great education in the business aspect of theatre. From how to nail an interview, to the importance of networking, Tech prepared me for a successful career in the theatre industry." 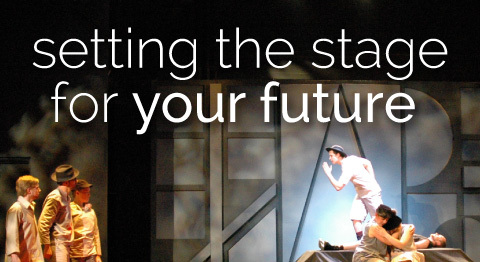 "Louisiana Tech Theatre taught me the importance of being a well-rounded theatre artist. Not only did I learn my true calling as a stage manager while there, I also got the opportunity to work on any aspect of theater I wanted to learn more about. The tight-knit community of the department was extremely beneficial to me, as I literally had to learn how to do everything. I treasure my four years at Louisiana Tech and I'm proud to call myself a graduate of the program." Jen Nelson Lane has spent the majority of her career as an Equity stage manager and educator. After graduating from Tech in 1999, she went on to earn an MFA in Stage Management from the University of Alabama/Alabama Shakespeare Festival. 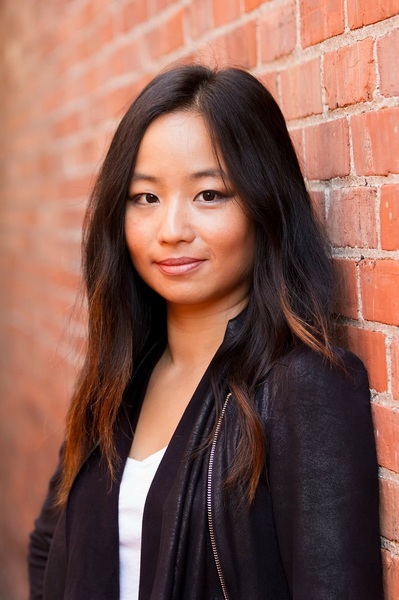 She then spent three years as Resident Production Stage Manager for Cornell University's Department of Theatre, Film and Dance, while also serving as Producing Director for East Coast Artists in NYC. In 2004, Jen moved to NYC full time where she worked for such companies as The Public Theater, New York Classical Theatre, Epic Theatre Ensemble, and Mirth Theatre Company. She worked on the stage management teams of Lincoln Center Theater's Broadway runs of The Rivals and the Tony-award winning The Light In The Piazza. Jen and her family relocated to Montevallo, AL in 2008, and Jen spent 3 seasons as Production Stage Manager for the Alabama Shakespeare Festival, then 2 years as Director of Production and Education for Birmingham Children's Theatre. She is currently an adjunct professor for the University of Montevallo, teaching arts management and stage management. Jen and her husband, Marcus (Tech class of 2000) are the proud parents of Dean, the world's coolest second grader. "My time at the Tech Theatre taught me not only how to be a better performer but how to work professionally in the field. In the world of performance, sometimes the best way to stand out is to present yourself as a professional, work hard, and keep putting yourself out there - thanks to Tech Theatre, I haven't stopped working professionally in almost four years." 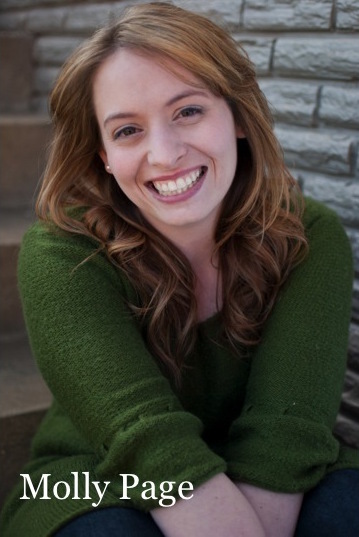 Originally from Ruston, LA, Rebecca moved to Chicago in 2011 to pursue theatre. Her first audition was for a burlesque comedy show which she landed and has been hooked on the art form ever since. She utilizes her movement background in dance, gymnastics, and stage combat to create performance art/burlesque solos that translate into movement monologues. She is also active in improv/comedy performance having worked with the fantastic MsPixy on several comedic ventures over the years. She has had the privilege to perform and work with such productions as Beast Women, the Windy City Burlesque Festival, Vaudezilla!, Unbridled at Untitled, the Glitter Guild, and been able to collaborate with burlesque celebrity - Red Rum. Currently, Rebecca is a professional cabaret performer with the Kiss Kiss Cabaret and the Belmont Burlesque Revue located in Chicago, Il. 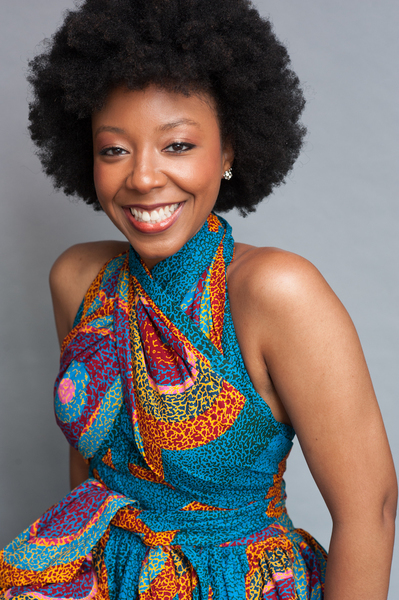 She is also a member of Shmib Dance Company and performs at various venues around Chicago as an independent performer. "My time at Louisiana Tech in the MA program really helped to pave the way for the long hours and collaborative nature of my current job in the entertainment industry. The professors are amazing and really care about their students. They are full of wisdom and are happy to impart it to anyone willing to listen. Their experiences outside the classroom help them to creatively problem solve when in their class or working on a show with them." Andrei is currently the owner of Legacy Casting. Legacy casts local principal roles and background roles for film, tv and commercials. Their biggest projects have been the TNT Series DALLAS (reboot) and Olympus Has Fallen. You can check out their website HERE for more information. Born in Romania, Andrei came to the USA when he was four years old. He has loved film, tv, theatre and acting since he was little. After taking theatre classes in high school and starring in several plays, his passion and interest continued into college. He is blessed to work in an industry he loves and enjoys auditioning awesome actors!